Langhorne Manor Borough municipal offices are located at 618 Hulmeville Road, Langhorne PA 19047; phone: 215-752-5835. 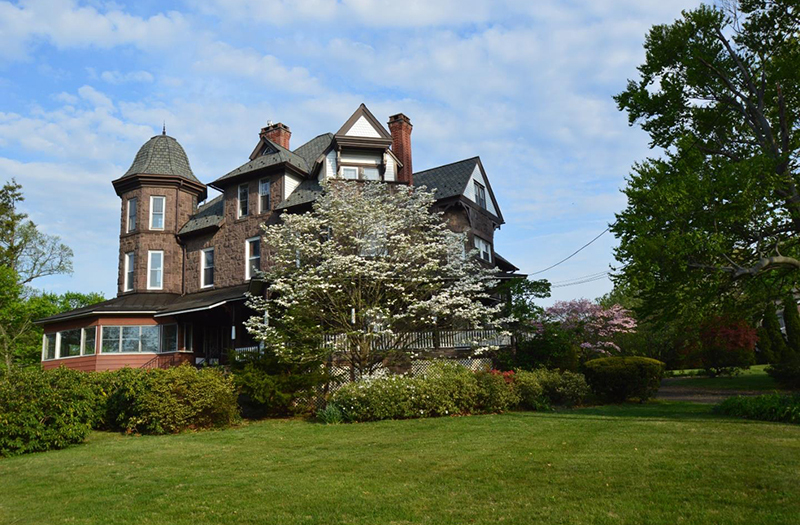 The Borough of Langhorne Manor is home to approximately 275 single family residences including about 2 dozen historic (pre-19th century) properties. A number of twin townhomes are found on Langhorne, Highland and Hulmeville Avenues. Median age of all single family residence in the borough is ca. 1950. More than 18% of the homes are ranch style built primarily from the 1940s to the 1970s (median age, ca. 1956). The campus of Cairn University (formerly the Philadelphia Biblical University) serenely complements the traces of the later Victorian Era residences found throughout the town. A SEPTA train station straddles the Borough's southern boundary, walking distance for many borough residents. Service from this station connects Ewing, NJ with Philadelphia. Langhorne Manor Borough was established in 1890. Just prior to that a group of prominent Langhorne and Philadelphia professionals, created the Langhorne Improvement Company and founded the Langhorne Spring Water Company. Development occurred rapidly thereafter, primarily fine, distinctive residences for which the borough is still regarded today. The early property titles carried unusual (for the time) restrictions (as binding then as zoning laws are today). The town was thoughtfully laid out with wide streets and relatively large lots for a borough. Many residents were Philadelphia businessmen. Many homes along Park, Hill, and Station Avenues range from 3,000 to more than 5,000 sq. ft. of living space. The median lot size for borough residences is 1/2 acre, unusually large for a small municipality.